OWA lets you share your calendar with others. This is done by sending an e-mail invitation from your calendar to whomever you wish to share your calendar with. This function is limited to other employees and students at UiT. 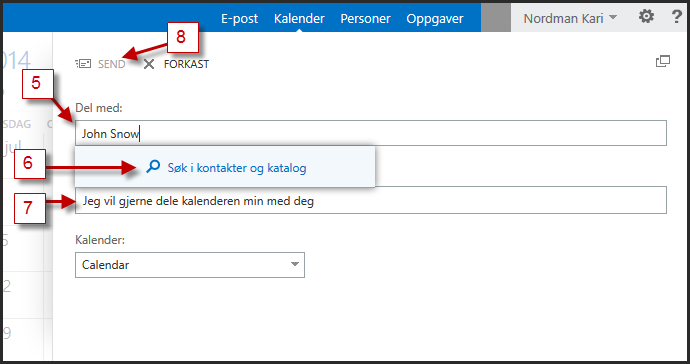 Select "Calendar"/"Kalender" in the menu at the top. The recipient will now receive an e-mail with your calendar invitation.